Written by a well-known and highly respected author and practitioner within the field, Shiatsu Theory and Practice is a complete introduction to the theory and practice of Zen shiatsu, drawing in detail on the theoretical foundation of both Traditional Chinese Medicine and Five Phase theory as well as that of Zen. Beresford-Cooke explains the strands of theory in a way which makes their integration into practice clear and rational. She includes step-by-step descriptions of treatment routines and techniques, alongside case histories illustrating the application of theory to practice. The book features detailed descriptions and illustrations of meridians, point locations and functions, and these are shown together with salient underlying anatomy. The text is supported by full colour photographs as well as online videoclips showing techniques, routines in the four positions and how to treat individual points and meridians. There are also supplementary online resources such as exercises and activities, web links, appendices for each chapter, and instructor lesson plans, homework and testbank of questions. 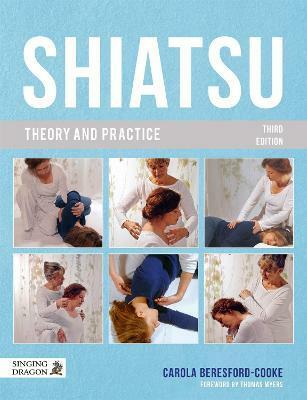 This fully revised third edition is essential reading for students and practitioners of shiatsu and massage therapy.